AT&T is revamping its streaming bundle offerings, raising prices and removing channels from its DirecTV Now tiers. At the same time, the company is launching streaming versions of its satellite TV offerings, at a premium price. The major pricing changes appear designed to turn the streaming bundle business into a profitable one for the company, which is planning to leverage its WarnerMedia division to develop ultra low-cost streaming offerings (AT&T Watch) and a still to-be-named direct-to-consumer offering later this year. AT&T told current DirecTV Now customers their monthly prices would rise by $10 per month starting in April. In addition, those customers that subscribe to HBO through the service will now be charged $15 per month, up from $5. The new DirecTV Now bundles will be priced at $50 per month for a base version with 46 channels, and an upgraded tier with 59 channels for $70 per month. Both tiers include HBO, but DirecTV Now has also cut channels from Viacom, Discovery, A+E Networks and AMC Networks. 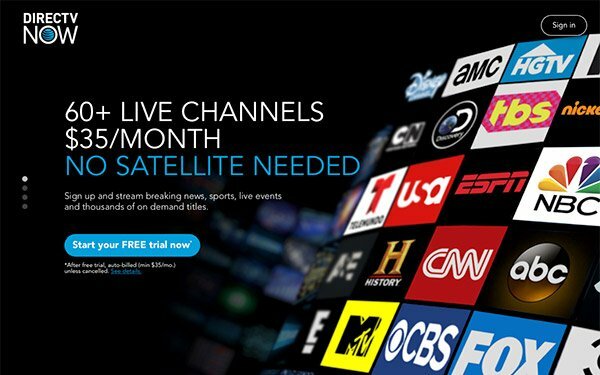 For consumers that want every channel, DirecTV’s satellite TV packages will be available to stream, though those packages start at $93 per month. AT&T Communications CEO John Donovan said on earnings call last year the company will “be more discriminating about the content provided and the profitability of that content” on DirecTV Now. Executives say they plan to revamp the streaming pricing structure to make streaming bundles profitable. The changes this week are the biggest effort yet to reign in those streaming costs, even as it creates an increasingly crowded environment for streaming video options within AT&T. AT&T Watch is free for some mobile subscribers and low-cost to others, with mostly on-demand entertainment content. The upcoming WarnerMedia service will also emphasize entertainment, in a more premium environment, coming later this year at a price point to be determined. DirecTV Now is gunning for people cutting or trimming the cord, while DirecTV’s full satellite streaming bundle is for user that want every channel without the hassle of installing a dish.